I offer readings over the phone, via Skype, an online session room or in person. I live in Marin County, California. I do not offer mail order readings as it is important to me that you are listening as I describe your chart to you. This allows for the possibility of some questions if you have any. As you can see, there are many different types of charts - so the chart for your specific reading is emailed to you beforehand as a Jpeg. After the reading, you receive a recording. I send a download link for an Mp3 file. Please feel free to email me kumud@humandesignwise.com or call me (415 464 4446) if you would like further information or to set up an appointment. Classes - I also offer the basic courses (Living Your Design, Rave ABC's and Rave Cartography) which I privately teach one-on-one. Please click here for more information. This is the basic reading, which will cover everything you need to understand about the fundamental mechanics of your design. This reading covers the synthesis of the major aspects in a chart, Type, Strategy and Inner Authority or decision making process for Mental Projectors and Reflectors, Centers, Channels and Profile. Please see the Intro to HD webpage for more information about this. 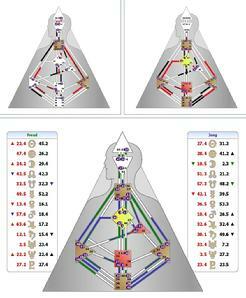 The 3 versions (as shown above) of your chart will be used in the reading. Please allow 1.5 hours. For many the initial reading is plenty to carry on with, it takes time to integrate the information (7 years just for the body�s cellular cycle). Others want to know about self study or formal study resources (see end of page) Others may want further sessions either as support to live their design or specifically from the Four Transformations work. Click here for info about this work. These are interactive sessions and involve a personal inquiry process. They allow for exploration: e.g. How is the mind interfering? Where is the true self present and how can it be recognized? This is a very rich way of integrating the Human Design information and bringing awareness to the patterns of ordinary daily life. It is seeing the patterns through engaging the mind to measure, not to fix, that is the doorway for transformation. To work one on one in individual sessions is powerful. Sometimes people come once a month, or once every six months, occasionally intensively once a week for a few months, it varies. I feel it is great privilege to work with people�s intimate life process and to see how Human Design information can be an incredible tool to support their awareness process. (all sessions are recorded � this is about working with mechanics, it is not therapy in the way that is generally understood). Deconditioning is my focus in this work, learning to see how the not self is surfacing so that consciousness and self love can be brought to its very existence as conditioning. I have no emphasis on the decision making process as such, that is important of course, however transformation arises out of the seeing of the patterns � whether negative or positive. These sessions are more about how to train the mind to know what to measure. This reading involves looking at two designs in relationship to each other. It is best if each person first has an individual reading though not essential. This is information about the relationship dynamics as seen from two charts superimposed. It can be fascinating to understand the mechanics of the interaction and be very revealing about the origins of various tensions within the relationship. It can bring space and compassion as to where and why the mechanics cause ego button to get pushed. Mechanics has nothing to do with love, but it does help the mind to understand what is going on. Love is essentially about accepting someone the way they are and not trying to change them. Human Design is on the planet to bring a new dimension in being able to support a child�s essential nature � in other words the way their spirit can trust it�s place in the scheme of things � the chart being the map for how that can be seen mechanically. We have lived in the shadow of an evolutionary epoch where we developed mind and found safety by sticking together and obeying the rules given by outer authorities (politicians and priests). This new era involves safety and survival being ensured when you show up as your unique self. This involves the potential to support a child to listen to their inner authority (as it is shown in their chart) and make decisions according to the nature of their design. This will be natural to a child, what is unnatural is the past mode of training the mind to run the life and know what rules to follow. Every child is born connected to the nature of their design. The first step for a parent is to get an overview reading for their child (or children). It�s an incredible key for supporting the child�s unique nature (especially to know the eating regimen at an early an age as possible �see PHS). In bringing up a child according to the nature of their design, every parent will be the beneficiary. In the process of always respecting the child�s inner authority (it means a holding structure that teaches the child that something inside of them can be trusted to guide their life), the parent will be called to show up as themselves and live from their own true nature. 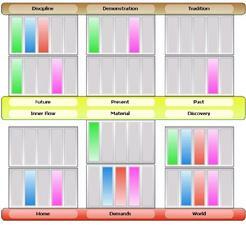 There is a different chart for sleeping, where there are 5 centers, not the usual 9 that can be found in a waking chart. When we sleep, in effect we connect back to an earlier phase of evolution when the way our Maia was fabricated (the illusory world of daily life) was much simpler. This can be seen in the fragmentary nature of a dream. It is a very temporary illusion. It also happens to be a time when the personality mind (neo cortex) is switched off. This allows for deep programming to take place in service of evolution�s agenda that we individuate a little but not too much. Please see my webpage on evolution. The DREAM <?xml:namespace prefix = st1 ns = "urn:schemas-microsoft-com:office:smarttags" />RAVE WEAK POINT is one the most interesting pressures to look at within a dream chart. It indicates where you are most vulnerable to being pulled away from yourself as a result of sleep time programming. Making decisions correctly is the anti-dote to that pull, however it can be interesting to know the specific weak point. Before I came to HD I worked quite extensively with dream analysis. For sure there is value in our dream messages. However since I came across the Dream Rave information I personally have become more interested in the loss of connection to being, that can result from the sleeping program, than in the messages of the dreams. The initial impact of the foundation reading needs integration time (how much time is unique to each person), there needs to some click that happens for the mind about the validity of the mechanics. That can�t happen a little on first hearing the knowledge because the immediate accuracy can land with quite an impact. 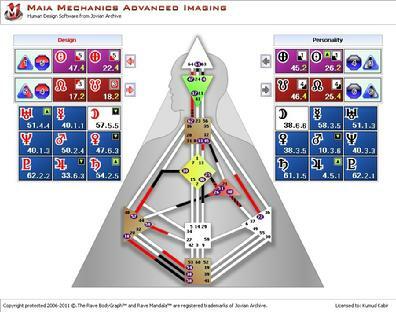 However the digestion time as the information settles and the experiment with decision making reveals further proof, brings a deepening cellular realization about the enormity of what knowing mechanics is about. 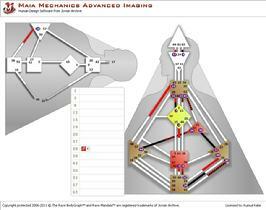 Some people are then drawn to know more about what is in the �Advanced Imaging chart� (known as an MMAI chart). This indicates what is called substructure information, that is available beneath the surface line numbers that can be seen in a regular chart. Accurate birth time is needed for these charts. (though because of their in depth information it is possible to use these charts to rectify of a birth time. The information is very specific and can elicit a real inner knowing for someone to recognize what must be their actual birth time). These are the various readings and sessions that emerge from the sub-structure information, the full descriptions are laid out in the menu page 'Advanced Readings'. 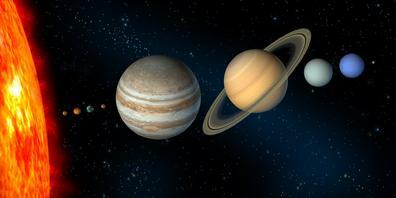 Solar return, Saturn Return, Uranus Opposition, Kiron Return readings are available on request. There are other types of readings involving a look at sexuality themes and incarnation themes.